This balanced blend of whole oven roasted almonds, pumpkin seeds and edamame soya beans with dried cranberries makes for the ideal grab-and-go snack. Perfect for busy eaters who need a quick snack. We've harnessed nature's best sources of unsaturated fats and natural sugars in this crunchy, munchy, tasty snack bag. 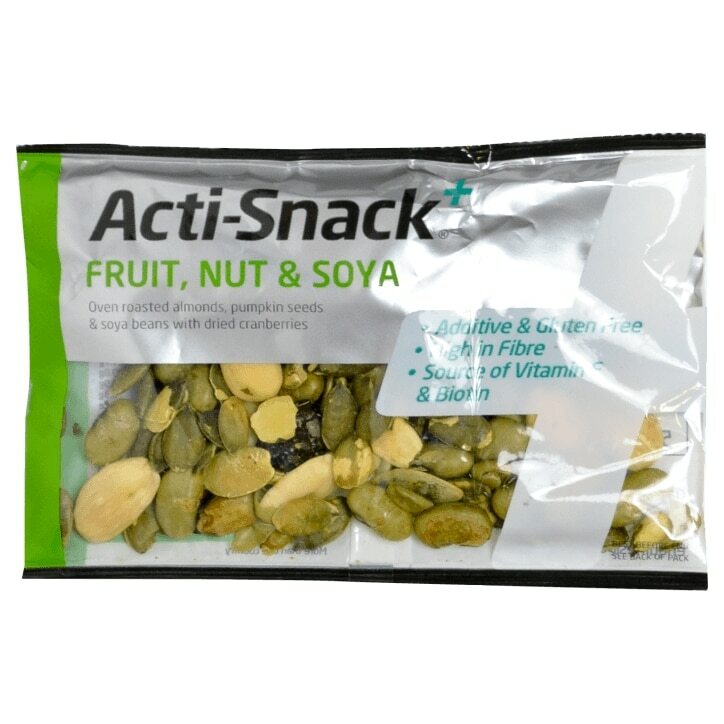 Almonds (25%), cranberries (25%) (apple juice concentrate, sunflower oil), pumpkin seeds (25%), edamame beans (25%) (contains soya).